Fergus joined Belleek Pottery in 1978 after graduating from Belfast College of Art. Now as head of design, he manages a dynamic team of young designers working across the Pottery’s product ranges including the contemporary collection, Belleek Living. Irish Designer Anthony Horrigan was born in Tipperary in 1988. After graduating with BA in Ceramic Design at Limerick School Of Art & Design in 2011, Anthony subsequently furthered his studies at Staffordshire University where he graduated with an MA in Ceramic Design in 2013. Anthony has received many awards for his design work including the ‘Future Makers Innovation Award’ from the Crafts Council of Ireland, the ‘LIT purchase Award’ and the prestigious ‘Benjamin Boothroyd Award for Product Design’. Before joining the Belleek Group in 2012, Anthony designed products for a variety of well established and contemporary brands including Wedgwood, Marks & Spencer, Flux Stoke-On-Trent and the British Ceramics Biennial to name a few. Most recently Anthony has been invited as a visiting lecturer to Limerick School of Art and Design where he works with ceramic students to develop their product design and research skills. His work for the Belleek Group is inspired by our interaction with everyday things, Anthony designs items with utility in mind, but strives to make products that are both a pleasure to use and something to enjoy visually. Graduating from Ulster University with a BA Honours in Fashion and Textile Design, I specialised in Surface Decoration, Print and Embroidery. Previously working for a Bed linen company, I was responsible for hand painting designs and sourcing products for their in-house luxury lifestyle brands. Having managed design briefs globally, my background in International sourcing and travel inspires various Belleek categories including Giftware, Tableware, Lighting and Jewellery. Love of antique textiles and experience of printed and woven fabrics is reflected throughout my designs where finely detailed drawings and combinations of colour and technique translate into fine Belleek porcelain. My role in Belleek is to design and manage exclusive hand crafted collections for International customer accounts in the United States, also contemporary ranges for our home market. 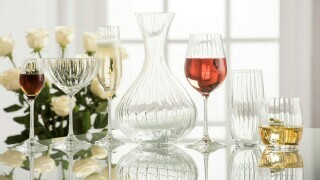 I have also designed bespoke gifts commissioned for HRH Queen Elizabeth II and US Heads of State. Each product is carefully developed through the various production stages of modelling, mould making and firing. Care is taken at every stage as I work closely with all members of the production team, from casting to painting, ensuring the globally renowned Belleek heritage and legacy of perfection remains.. Designer and artist Clare Conway was born in Philadelphia in 1985, migrating to the North of Ireland in 1998. Clare graduated from University of Ulster with a BA in Fine and Applied Art in 2007. 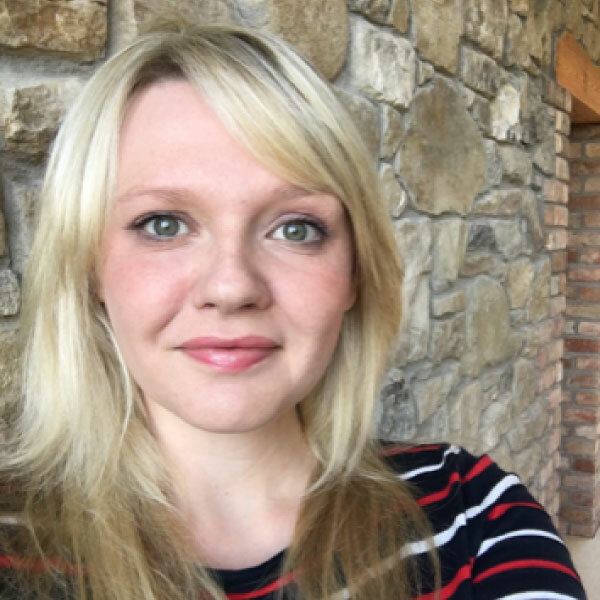 After working in material conservation and mosaic production as well as other lines of work Clare returned to higher education and obtained an MFA in Multidisciplinary Design in 2013. During this time she received the ‘Deans Post Graduate Award’, ‘Future Makers Materials Award’ and the ‘Royal Ulster Academy Student of Excellence Award’. As well as design Clare is passionate about conceptualism, fine art and art theory. She has exhibited her work in both solo and group exhibitions. Her personal work has been featured in several respected art and design publications. 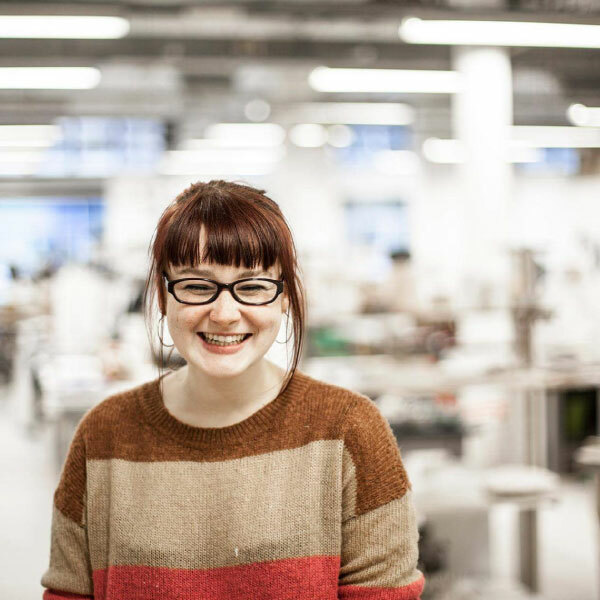 This passion for fine art feeds into her work with the Belleek Group as she strives to not only produce beautiful and useful objects but ,where possible, objects imbued with meaning. Wendy is an award winning designer maker working in porcelain, and graduated with an MFA in Multidisciplinary Design at Ulster University in 2015.Wendy was the recipient of the Richard K Degenhardt, Belleek Collectors Scholarship in 2014 and since then was selected for Craft Northern I Ireland’s business programme, ‘Making It’ 2015-2017. 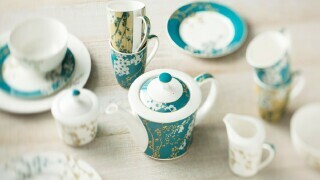 It was the breath-taking beauty of the Fermanagh landscape that captured Wendy’s imagination for the Lough Collection. The beautiful sunsets and the reflections of the sunlight on the water inspired Wendy to capture this stunning interaction through porcelain. The rural landscape is abundant with intricate structure and pattern and it was the wild grasses and reeds that Wendy interpreted in porcelain in a contemporary approach. 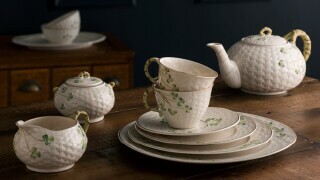 Each piece is beautifully handcrafted from Belleek porcelain. Most recently Wendy has been awarded 'Ambassador for European Ceramics' a winner in the international ceramic competition - 'Ceramics and its Dimensions Future Lights'. This international award recognises her exceptional abilty to combine high quality handcraftsmanship into industrially produced procelain. Every Belleek piece passes through 16 hands; on its process every piece is marked by the craftsperson. You can find this mark on the bottom of the Belleek piece.